Moussaka. Made heaps of it over the last few weeks, I freeze it (without the bechamel sauce) in foil trays. I also freeze eggplant slices ready to make either this or eggplant parmagiana. This is based on Delia Smith’s recipe. 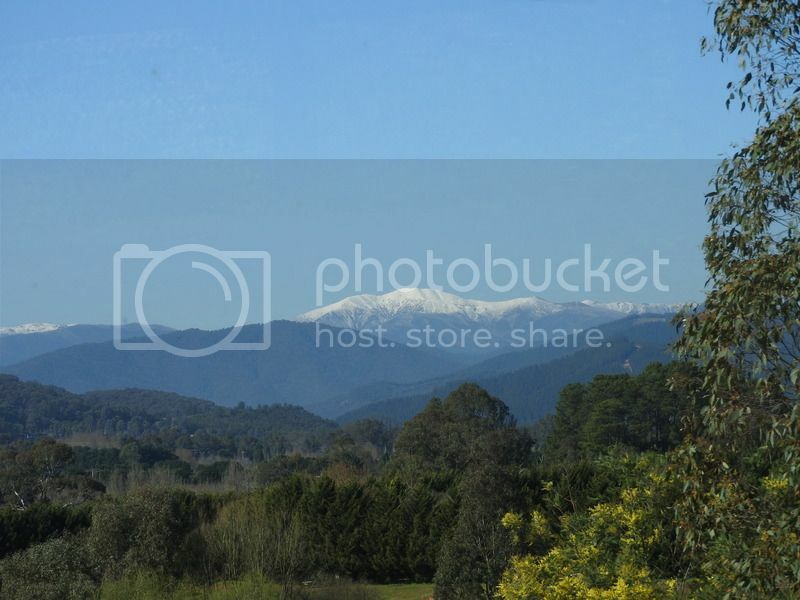 Mount Feathertop: Trying out the ‘HTML’ method. Oooh, that one worked. So, you need to copy the URL of the actual photo, then you hit the ‘img’ button above your reply box, paste the URL in, then a description and presto. I don’t think you can upload them directly, but you can link to an online photo hosting site, such as imgur or similar. Perhaps we just need to use the old fashioned method. Primarily I’m looking for recipes that I can freeze. I’ve got 19 eggplant to deal with right now and more coming. Um… I’m not Judi B.
I’ve been trying ever since Dan re-activated the site to get back, but haven’t been able to login, resets didn’t work, contact page doesn’t load, I couldn’t get Dan to reply to his personal email address that I had on file… All sorts of problems, so basically I gave up. I hate facebook.I pop in here occasionally to dust off a few cobwebs, but the site seems to be dying a slow death. Sad really. Just discovered that our OP here is a spammer. Can you give some specifics please, Ballamara? Such as usernames, threads posted in or similar.I don’t know if any of the other admins/mods even logs in any more. Very hard to tell what goes on in this ‘new’ site. Spammers gone now. ThanksI agree there seems to be more spammers than ‘real’ folk. Such a pity for what was once a great site. Thanks all. The perps have been removed. Thanks, they have ‘left the building’I find it amazing where these spammers are from. Poland, Italy, Sweden, Belgium… how do they find us. Harvested the pumpkins. Got a trailer full. Time to seek out pumpkin loving neighbours. I log in most days, but there’s so little happening I don’t bother posting.Yes, I think you can safely blame Facebook. Hate the blasted thing with a passion. I use this: http://www.bom.gov.au/australia/meteye/You can put in your location and you get a forecast for the next 7 days. Gives you all sorts of stuff, including the chance of rain and how much. Jeepers, what’s going on. Had three more of them. Only common factor seems to be the window cleaning business.How are these idiots getting through?